This chenille tapestry "Olde World Filigree Urn" shows an ancient urn in an ancient Roman setting. Here in this art tapestry we see an ornate urn on a pedestal surrounded by an architectural design of columns, archway, and a garland of leaves and flowers. Made in luxurious chenille, this tapestry is an example of classic themes portrayed in olde world style tapestries. 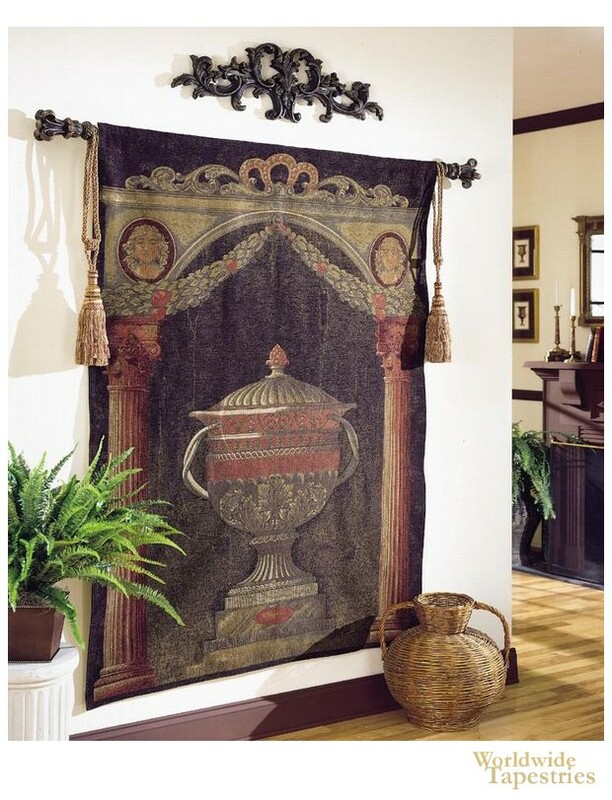 This Belgian chenille tapestry "Olde World Filigree Urn" is backed with a lining and has a tunnel for easy hanging. Note: tapestry rod, tassels and accessories, where pictured, are not included in the price.